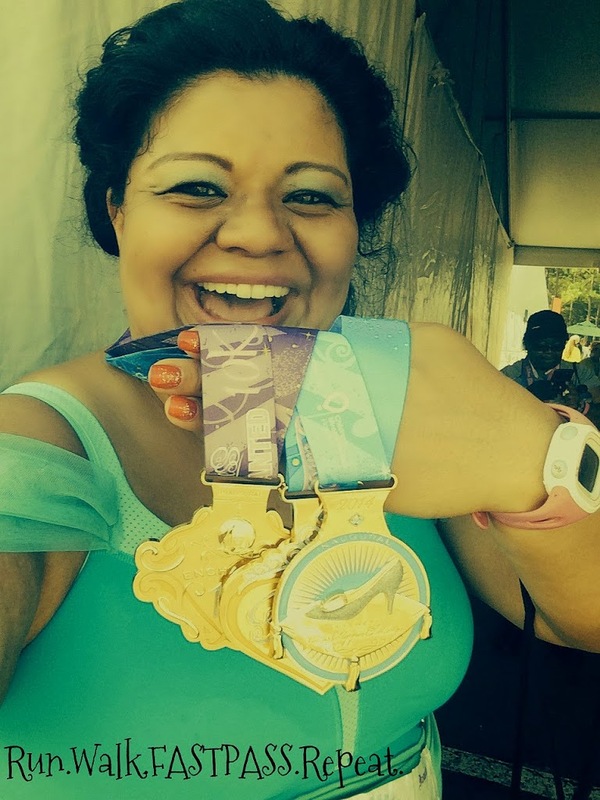 This year was my 4th runDisney Princess Half Marathon weekend. At the Fit For a Princess Expo I thanked Jeff Galloway personally for his inspiration to get me out there all those years ago. I shared with him while I don’t exactly look like the cover of Runners World, I have been told time and time again, I have influenced or inspired people to get out there too. He was so gracious in his reply and humble too. 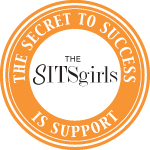 Many friends blog for fun and the BEST perk is when people tell you that it made them want to get out there and that you helped them believe they can do it too. Jeff told me that I do inspire as do so many others. He loves hearing this feedback because it goes to show ANYONE be it Olympian or recreational runner can make a difference in the life of those around us. 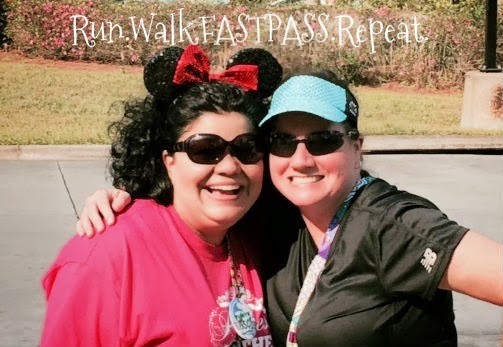 One of my friends ran her FIRST Half Marathon this year at the runDisney Princess Half and I asked her to do a guest post for me. I love race recaps and the words of first timers are filled with excitement and triumph, a pleasure for me to share wtih my readers. 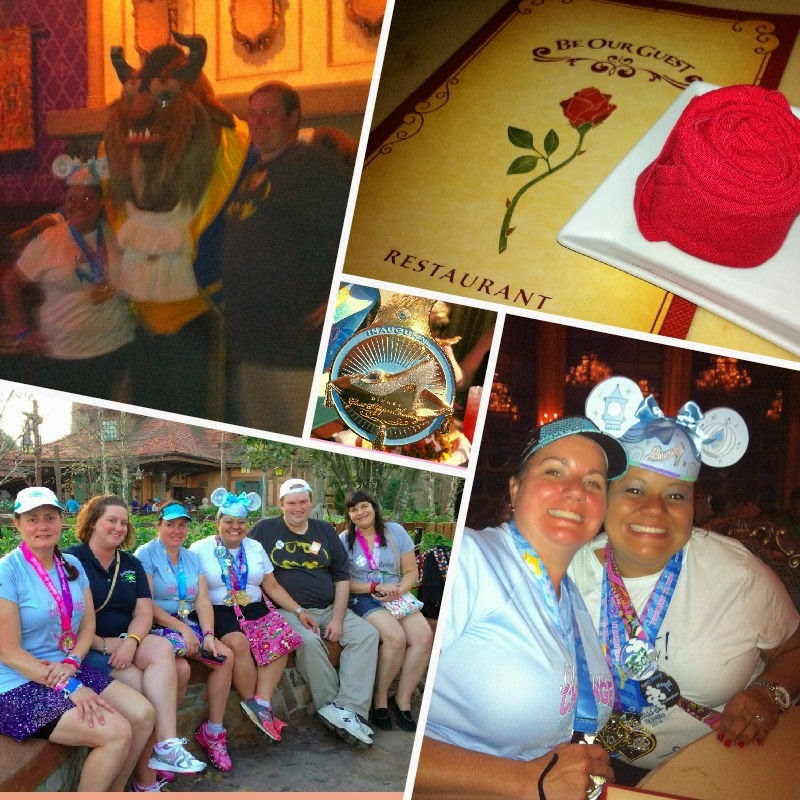 It is wordy and does cover the entire weekend including the Glass Slipper Challenge. Thanks to Julia for sharing your race with us – you might remember her with her review of Disney Resort at Hilton Head Island South Carolina. Funny how the inspirer can turn into the inspired now isn’t it! These words are what pushed me to pull off one of the craziest things I’ve ever done to date; Princess Half Marathon weekend. Let’s back up for a minute, though so I can explain. I’ve been “running” for about two years now. I say running in quotes because I run/walk and I am slow as molasses. I have heart and I love to work out, but I would never consider myself an elite runner even though I aspire to be one. Maybe one day…. I’d done a few races and when I first started to incorporate weight training into my fitness routine, my trainers asked what my ultimate goal would be. I immediately said, “I wanna be a runner and I want to do a half marathon!” This seemed like a total pipe dream, but I was determined. 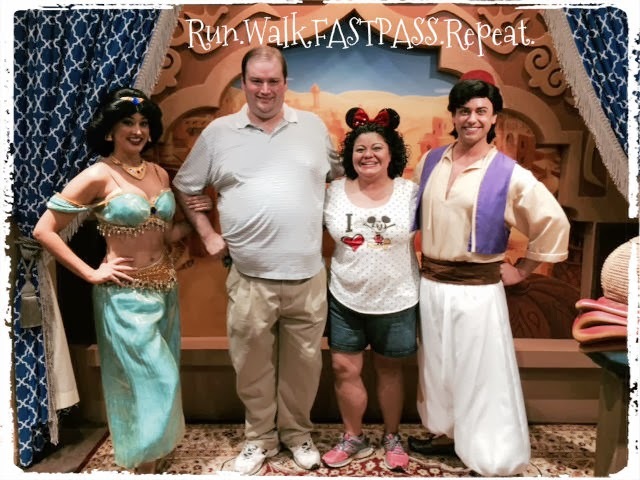 Fate would intervene and I would start seeing posts on Facebook from Julie where she started talking about Princess Half Marathon and how much fun it was. I’ve always loved Disney and all things Disney related, but thought that a Disney race was way out of my league. The more Julie talked about it though, the more I wanted to do it. She posted a picture slideshow from her 2013 experience and that sealed the deal for me. I actually cried watching it! 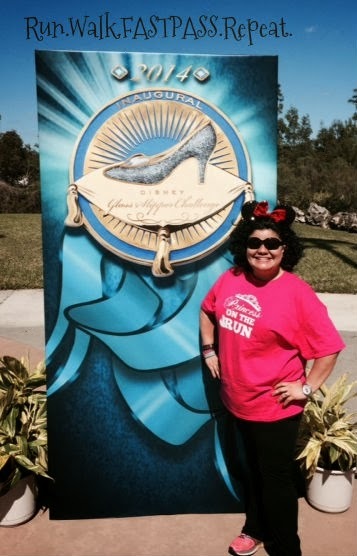 Right about that time, Disney posted their inaugural Glass Slipper Challenge. I started reading about what this challenge entailed and it was a 10k (6.2 miles) and a half marathon (!!) 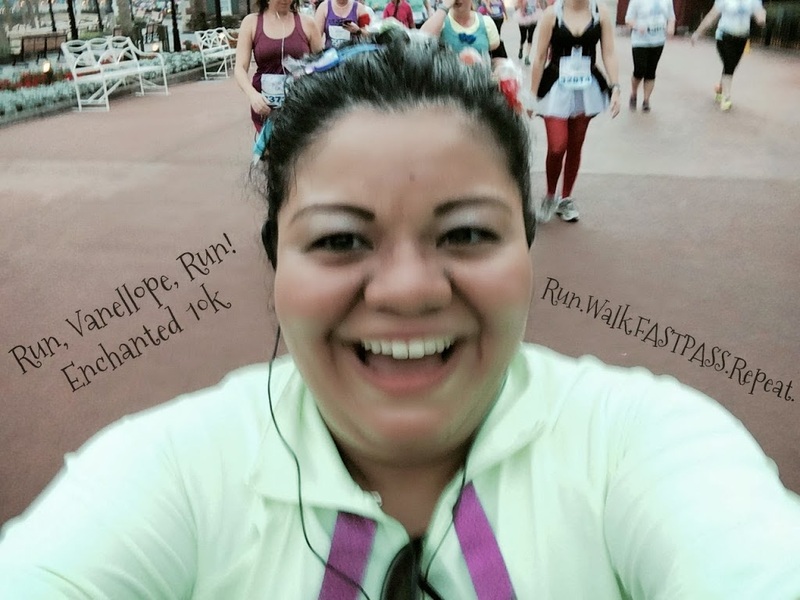 (13.1 miles) I felt like it was a sign and I HAD to do it because if you’re going to run a half marathon, why not do it at the Happiest Place on Earth? I talked to my husband and he told me I was insane. In the same breath, he told me that I was capable of doing anything I set my mind to doing and if this was something I truly wanted to do, he supported me whole hog. I noted the date on my calendar to register and planned to be locked and loaded on my computer so I could register as soon as registration was opened. Ya’ll, this race challenge sold out in less than 24 hours. I guess there are a lot of crazy people in this world! Months went by and other things in life happened. I was able to submit a qualifying time to get better placement in the corrals, but winter sucked in Georgia this year so running outside was nearly impossible when you have a full time job. I did my best and ultimately joined a gym to run on the treadmill to get miles in and start conditioning. I’ll be honest; I did NOT train as well as I should have early on, but I felt confident going in to this that I could do it. Finally, the week of Princess Half arrived. I was nervous, excited, scared, and happy. I threw down the gauntlet and declared that I WOULD be back with three medals when this weekend was over. My husband and I decided early on that it would be just us on this trip and I was so thankful for that. He’s a fun guyto be around and always knows what I need when nerves take over. We almost missed our plane because we are terrible at coordinating things, but we made it by the skin of our teeth and soon were Florida bound.We arrived in Orlando and caught the Magical Express to our resort. Here’s where I’m going to plug someone. If you ever want to travel to Disney, get a travel agent. 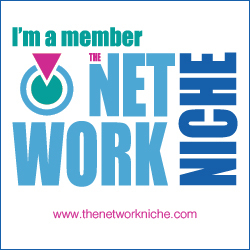 They make your life so much easier (doesn’t cost you anything more than booking yourself) and it’s OK to release a little control. I highly recommend Jennifer Greene at Destinations in Florida. She’s awesome and has booked two solid vacations for us. Ran into Julie as she got to the expo. How cool was that! I was really happy we arrived when we did because the Fit for a Princess Expo had just opened up earlier that morning so the plan was to head over after we left our stuff at our hotel. The Expo is where you pick up your race bibs, race shirts, and any other MUST HAVE items. You can also sign up for runner tracking so your updates can be sent to loved ones or to yourself if you’re keeping time via texts or social media. I thought the time we arrived was pretty decent. I got to see everything and the lines to pick up my race packet were not long at all. I wasn’t able to snag any pics with princesses here, but I took some fun pictures in front of the step and repeats that were set up throughout. Once I was done at the expo, we went back to our resort (Art of Animation, Little Mermaid area) to get settled in. One recommendation (especially if you’re new to running which I wasn’t but I am a pro at being lazy) is that Little Mermaid is a looooooooooooooooooooooooooong distance from where the bus picks up and drops off. There’s one stop and one stop only. I prefer the Cars suites or Nemo area. Again, this is purely because I don’t like to walk any longer than I have to. That night the fabulous Disbroadswere having a meet-up at the Wave Lounge in the Contemporary Resort along with the fabulous Jenn Greene. It was a good time and the whole experience was great – I really enjoyed seeing Julie and meeting some new friends. 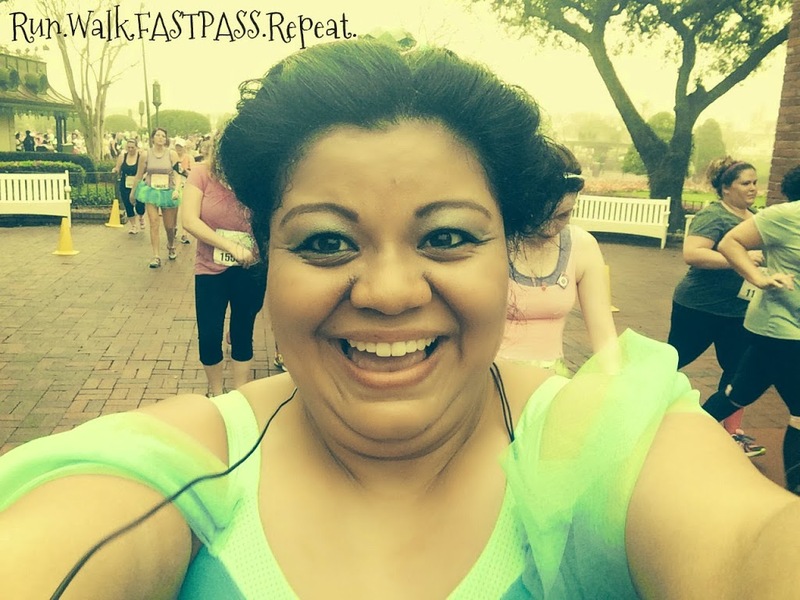 Now, being a newbie torunDisney and never having run both a 10k and a half, I wasn’t sure what to doregarding parks. I didn’t want to wear myself out, but COME ON, its Disney! Since it was an adults only trip, my husband and I agreed that we HAD to do Epcot on Friday (but I had a strict 5pm cutoff time) and Magic Kingdom. We got up early on Friday morning because when I bought my race entry, I also decided to buy breakfast with the Disney princesses. Love the Stews and the Aladdin Gang too! I will say I was not impressed with the breakfast setup. We spent more time in line to meet the princesses than we did eating and the food selection was mediocre at best. Save your money if you haven’t done this because you’re not missing much!! I was back in the hotel, showered and ready for bed by 6:45. When we got our corral assignments I was super stoked to see an E on my bib for the 10k. Stoked that is, until I realized that E was the VERY LAST CORRAL. I’ve had nightmares about being swept at these races since I signed up and realizing I was in the last corral increased my anxiety. How was I going to pull this off? Was it goingto be over before it started? I decided worrying wasn’t going to help me so I figured my only choice was to get a good night’s rest and try to get to the front of my corral which meant leaving at 2:30 a.m. to catch the bus. I got up at 2, dressed up in myVanellope VonShcweetz costume and headed out.My original plan was to take the 10k easy and stop for pictures. I run slowly, but I am a consistent 13-14 minute per mile kind of gal. The fear of not finishing the 10k made me decide I had to move it and keep it moving. I arrived with plenty of time I was probably the 15th person let in to Corral E and while I killed the two hours before the start of the race I made some friends. 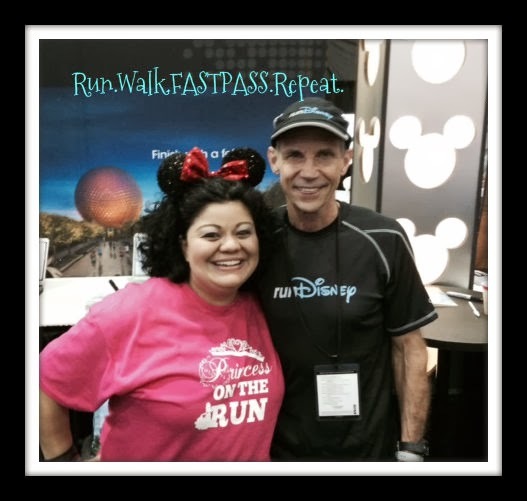 🙂 We talked to runDisney experts, novices like me and it really helped to pass the time. It did not however, do much to calm my nerves. There were a couple of girls there that had done the Tinkerbell half in January that had horror stories of people being swept at miles 1 and 2. As I was standing there waiting for the other corrals to go (they waited about ten minutes between corrals) my nerves began to take over and just as we were about to head to the start line, I started to feel dizzy and had to start talking to myself to calm down. It seemed like forever before the start was announced and we started running out of Epcot. The weather was cool starting off, but it quickly turned humid. I enjoyed the course for the most part. Seeing Elsa from Frozen making it snow when we left Epcot was just amazing. The first few miles were boring and I was amazed at the lines people were willing to stand in for character pictures. I really began to enjoy the course once we came back into Epcot and ran through the World Showcase. That was the COOLEST thing ever to run through the countries and watch the sun come up. As we were leaving Epcot, I saw the last runner of the race with the sweeper folks behind her. She was working hard (I was about 1 mile or so ahead of her) and the group I was running with started clapping and cheering for her. It was really nice to encourage a fellow Princess and make her feel good! Congrats Julia on Race #1, How did I miss all these cool backdrops! I collected my Inaugural Enchanted 10k medal and was given a blue bracelet indicating that I was a Glass Slipper Challenge participant. Y’all, I didn’t take that blue bracelet off for a week after getting home!!! runDisney really organizes things well and had everything from medical to food to water ready for all of the finishers! I grabbed my box of food and found my husband who took some fun pictures of me in front of the step and repeats that were set up. Honestly I had no interest in hanging around the finish area. I knew I had to rest my legs for the half the following day so we left pretty quick, still on the high from finishing the race. We ate a later breakfast at the food court of our hotel and then went back to the room where I took a four hour nap. It was heaven and really helped to rest my legs for the next day. I also knew that the half was going to be a HUGE race, much bigger than the 10k so getting up earlier and getting to the bus would be critical for me. I left my hotel room at 2:30 a.m. and arrived at the bus stop to find 20 ladies or so already waiting for the bus. For the 10k I was the second person on this bus so I was happy I got up super early. For the half marathon, you actually start on the street so out of safety concerns; runDisney has everyone wait in this holding area. There were plenty of bathrooms and other amenities, but I chose to head straight to the front again so I could be in the first half of my corral. We waited what seemed like an eternity and again, I met a lot of really nice women as well as saw some friends from the day before. We chatted and laughed and tried to work off some of that nervous energy. When we were finally led to the starting corrals I was shocked at how far away they were! If you can afford a few minutes, stop and use the bathroom because there are bathrooms on the way to the corrals. Also, if you’re considering hopping corrals (moving up not back) don’t do it. I saw several people attempt this and they got kicked to the last corral! Kudos to runDisney for being vigilant and letting folks know that cheating would not be tolerated. I met a friend that I’d made through Instagram (we ended up starting the race together) and it was really cool to meet her in person. The elite runners took off at 5:30 a.m. and there was a considerable wait time between corrals in the front. I believe the first three had like a seven minute break or so between corrals since they are smaller. As they got to the larger corrals, the time between was more like 4-5 minutes. It’s incredible how Disney has these start times to an exact science. Finally it was our turn. 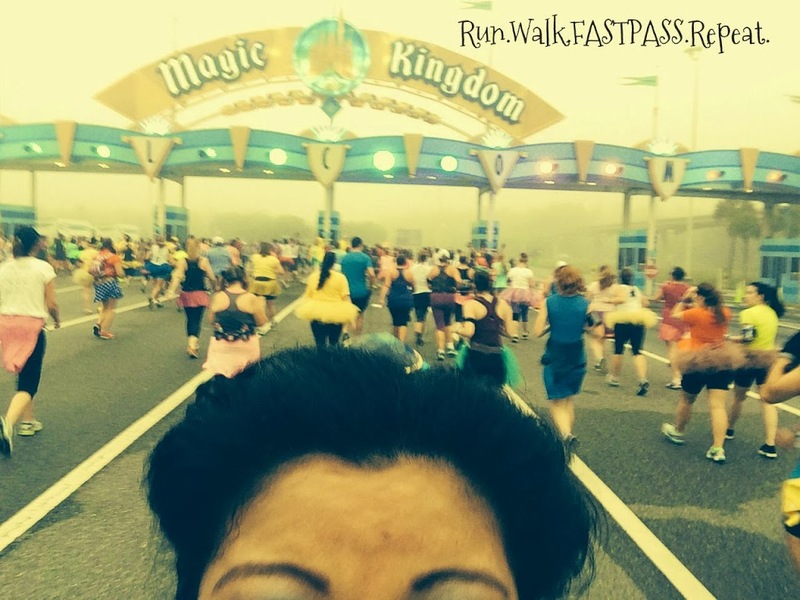 I got to hold therunDisney taper to walk up to the start line and I was in the very first row for my corral. The fireworks went off and wewere turned loose. Again, first few miles were pitch dark and it was a little boring. Lines for character stops were completely insane and I wanted tomaintain my pace so I didn’t stop for a single picture during the half. I listened to my iPhone and followed my intervals. It was even hotter for the half and I commendrunDisney for having water andPowerade at what seemed like every mile. Seeing him gave me the boost I needed and pain be damned I was going to finish this race! Towards the end of the race I saw a disturbing amount of people cutting through the course, but in spite of the blisters I had (which at this point felt like I was walking on ziploc bags of water that were burning hot) I kept plugging along. Throughout this whole race I was also getting messages directly to my phone that my friends were either texting or posting to my Facebook wall. It was amazing how much love and support I got from all of these incredible people and it really gave me the drive to want to finish. They believed in me, I had to believe in myself! Right around mile 10 there was an uphill cloverleaf and I think I said a few un-princess-like words but I trudged up and didn’t slow down. I saw the entrance to Epcot and I’d heard rumors that once you got into the Epcot parking lot you wouldn’t get swept. I still had fears of it though and the entire race felt like the balloon ladies (volunteers who keep the 16 minute mile pace the entire race) were nipping at my heels. I ran into Epcot and saw my sweet husband again anxiously looking for me in the distance. I yelled out to him, “I DID IT! I MADE IT AND I LOVE YOU!” and kept on running. The people at Epcot were amazing and would yell out, “Hello Princess Jasmine!” It was super cool. As we were passing behind Spaceship Earth I saw them; the dreaded balloon ladies. They were whizzing past me and I started to panic. My knee was killing me, my blisters were getting worse by the second and I didn’t know if I was “safe.” I started running like my life depended on it when I heard someone holding a balloon say, “it’s okay, ladies, this is for a PR!” Just as she said that though, a Disney employee started shifting the group of runners I was with and directing us to another part. I immediately got teary and thought I was getting swept. Why else would they do that?!? Turns out it was simply a matter of crowd control and I was fine. I passed the gospel choir and felt super relieved to see them, but knew I still had point two miles to go. I could hear the crowds and the run announcer and could see tons of Marathonfoto photographers so I knew the finish line was in sight. In spite of the pain, I took off running. There’s nothing quite like the adrenaline you feel knowing you’re about to cross the finish line of your first half marathon. I crossed it and immediately began to cry…and again drop some un-princess-like words because the feeling I got was just so overwhelming. Sobs racked my body because of how proud I felt, how much pain I was in and just from the sheer excitement of it all. Wewere guided through the chute, first to collect the half medal, then to a line that would give us our Glass Slipper Challenge medal. I sniffed a little when I got the half medal, but once the Glass Slipper went over my neck I started sobbing again. (Are you sensing a theme here?) Thewoman that placed the medal around my neck was so sweet and said, “don’t cry, Princess, this is finally yours!” And she was right…I’d done it and I’d done it in a big way. The rest of the afternoon was a blur of activities and I honestly could not stop grinning. I got to wear my “I DID IT!” shirt and all of my medals to the Magic Kingdom. I’d get so happy each time someone would stop and congratulate me. Recovery from these races was not as difficult as I’d thought it would be, but that was largely due to the fact that I went to Magic Kingdom after and kept moving. Celebratory Dinner at Be Our Guest with Julie, Jenn, Heather and Laura! So in a nutshell, that’s my Disney Princess Half experience. If you’re considering doing a Half Marathon, Disney is the best place, IMO. I had a wonderful weekend, saw some wonderful friends and made new ones, but I am most proud that I completed one of the toughest physical challenges of my life. Quoting John Bingham, “The miracle isn’t that I finished, the miracle is that I had the courage to start.“ Those are pretty profound words that really speak to me. And in that spirit, I’m seriously considering throwing down the gauntlet for a full marathon in 2016. Will it happen? From Julie, THANKS AGAIN JULIA FOR THIS POST. It was a pleasure to seeing you during the weekend. Did you feel her excitement? What was your first Half Marathon and/or Race? 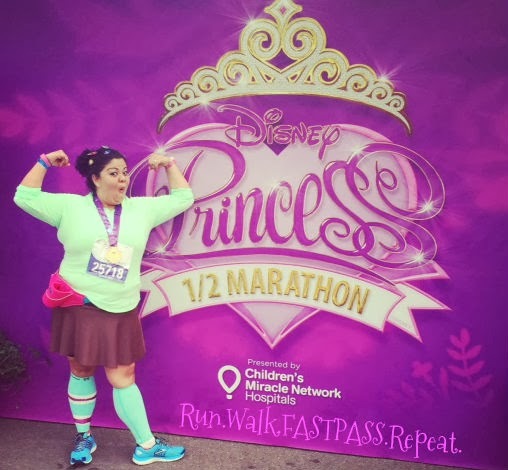 For more Princess Half posts, check out my runDisney page. Aww I just love this story, Julia! The Princess Half can really be a rollercoaster of emotions kind of day. Brought back a lot of memories from my first half at PHM last year. But you made it! Now you are ready to tackle other amazing things! Keep running Princess! Thanks Monica…. so happy to share her journey! Julia congrats!!! Awesome recap. So happy for you. I ran my first half marathon with that quote on my t-shirt. The miracle truly is that we all had the courage to start! 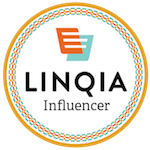 Great blog post. I got teary eyed. Running my first half in July and the Wine & Dine in November. Thanks Sarah…I did too. Julia is super awesome. Good luck with your first half and you will LOVE Wine and Dine! What a wonderful recap! Congratulations Julia on accomplishing what you set out to do! You looked super cute too. 🙂 Yay!! She was the cutest Jasmine EVER! Thanks for reading April. Good on you for taking on the challenge right off the bat! 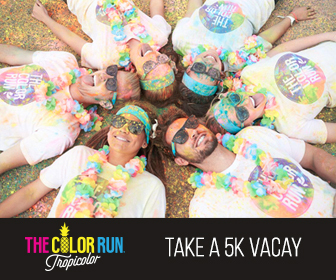 I hope you had enough fun to keep at it, because there are tons of great runs out there! I’ve heard people say that Disney is a great place for a first running event, but I’m kind of glad I’d done a few others first. Given some of the logistical challenges around Disney races, I might have been really turned off if I thought that was the way all of them are. Attitude is everything and you seem to have a great one. Congratulations!!!!! Doesn’t she Jennifer! 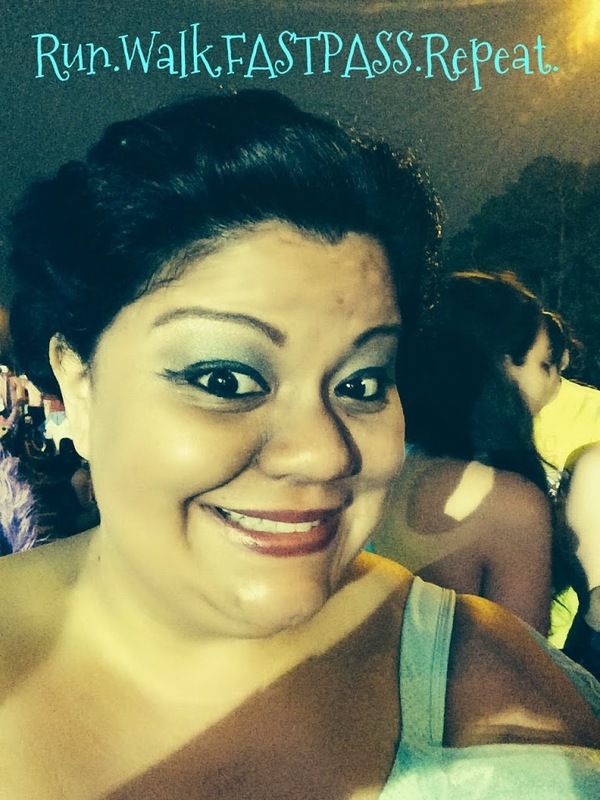 Julia lives her life with such enthusiasm and positive spirit its catching…she is a whole lot of fun too! Oh my word I hit the ugly cry when you wrote about signing up! This was mine and my friends first also. We didn’t do the GSC as we just were to scared too..But next year its ON…Thank you for your recap.It was like I was living it over again! Thanks Turtles for reading. I agree, it was a GREAT read and full of emotion. I think First Half marathons are very special, because when most start to train, they can’t believe they can make it 13.1 miles! TEARS!!!! WTG Julia!!! I am so happy for you- rock star! I know…she did so well. 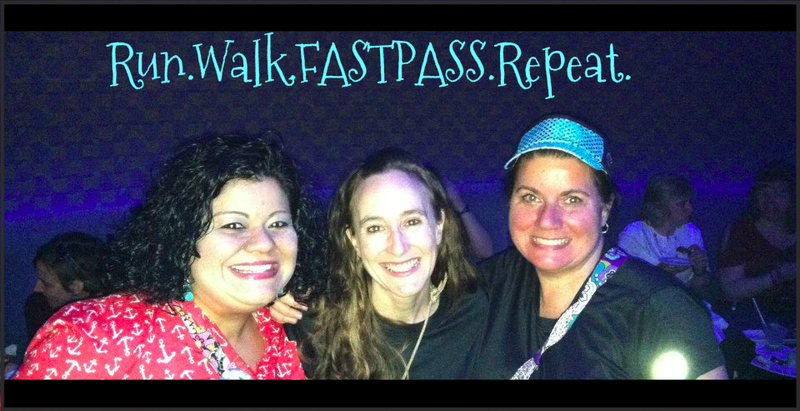 I was so happy we could include her at Be Our Guest for dinner too…she was BEAMING.